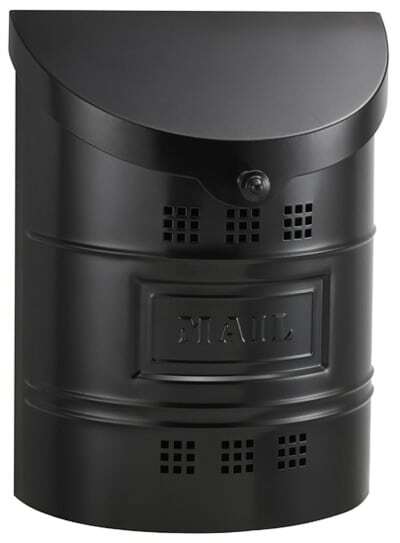 Ecco Wall Mount Mailboxes are generously sized with an understated contemporary design. 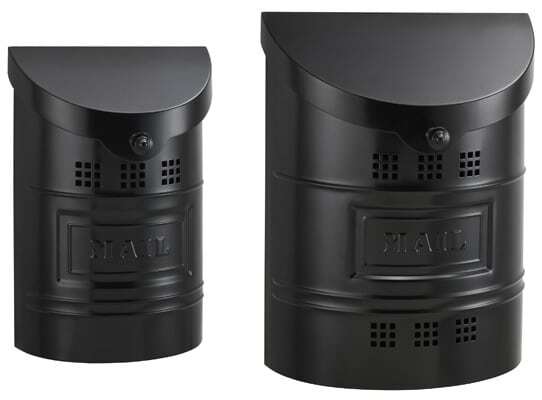 Black painted model includes bold MAIL embossed middle. 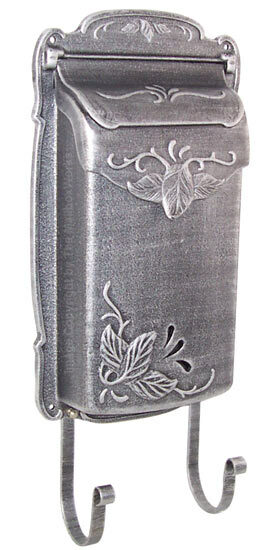 Curved wall mount mailbox has a sloped flip-up door and easily accommodates your favorite catalogs and magazines. 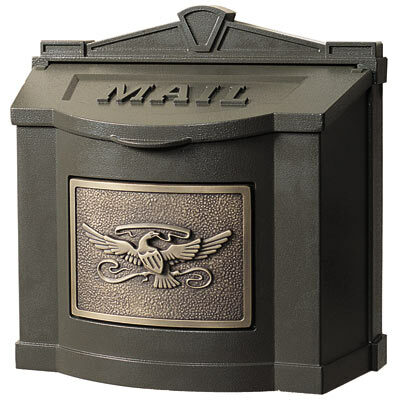 Constructed of 20 gauge steel these modern black wall mount mailboxes are made to last. 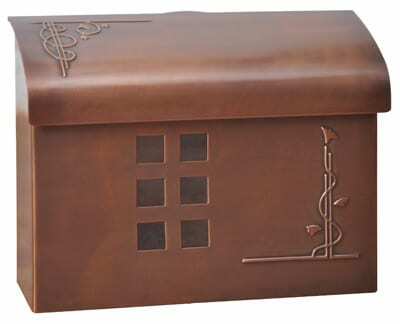 With six sets of cut out windows you’ll always know when mail has arrived. 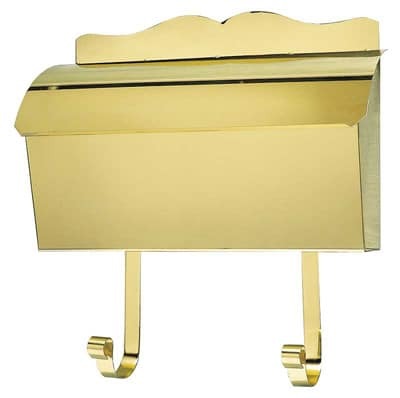 For more mailboxes in this contemporary style visit our Ecco Wall Mount Mailboxes.